The YTR-4335GII features a gold-brass bell that produces a richer, wider range of tonal colors. Durable yet light, the bell promotes easy endurance while playing. 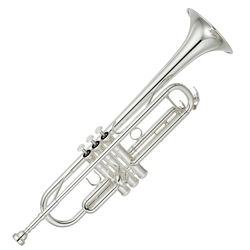 The richness of tone quality and freeblowing feel make this trumpet a great vehicle for those players looking to take their performance to the next level.